Ela one piece wide strap tank with strappy inset neckline. By Shashi. 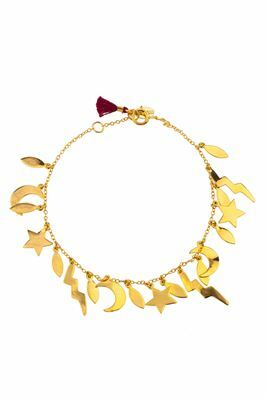 18k gold plated bracelet on a delicate chain featuring sterling silver lightning bolts, stars, crescent moons, and oval charms. Offers an adjustable length with a cotton tassel detail.